Arsène Wenger cannot believe he is on the cusp of reaching 1,000 games at Arsenal – but says he has learnt something from every single one. The Frenchman’s first match at the Club was at Blackburn Rovers on October 12, 1996 and he has gone on to oversee 998 more in his 17 years as manager. He will reach four figures in Saturday’s lunchtime kick-off at Chelsea, and while he is aware of the landmark he insists his focus is on claiming the three points. 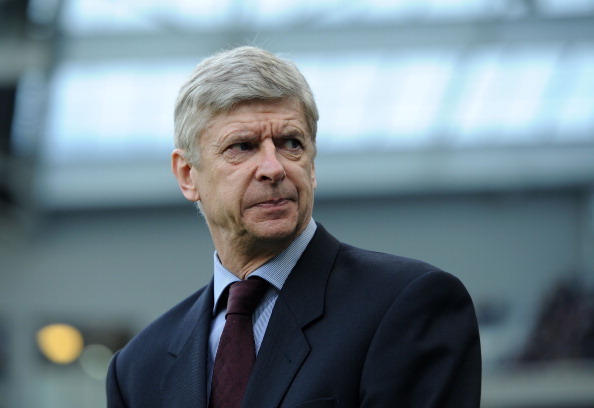 “It makes you feel ‘where did the time go?’” Wenger told Arsenal Player. “It looks to me like I started yesterday, I can’t believe it is such a long time. “Why? Because you’re always focused on looking forward to the next game and when you look back you think I made quite a distance there. Despite that, your only interest is the next game, our drug is the next game, the hope for the next game, the desire to win the next one. “You learn from every game,” added Wenger. “You learn more from the lost games than the games won. Certainly because you go into deeper analysis, you question yourself more, you question the players more and you learn basically the most from the higher the level goes up, the more you see the limitations of your team and your players. Wenger did, however, allow himself to reflect on his favourite match from his 999 in charge at Arsenal, and two stand out in particular. Arsène Wenger believes Arsenal are back in a position to compete with the biggest clubs to sign the best players. The Frenchman is set to take charge of his 1,000th match at Arsenal when they face Chelsea in the lunchtime kick-off on Saturday. When asked about the perceived split in success between the first and second halves of his reign, Wenger insisted there were mitigating factors. “When I one day look back I will certainly be very proud of what I have done [in the second half],” he said. “This was a trophyless period but a much more difficult and sensitive period, where it needed much more commitment and strength than in the first part of my stay here.“I went for a challenge that I knew would be difficult because we had to fight with clubs who lose £150 million per year and we had to make £30 million. On top of that we had to stand up with people telling us we had to beat them. “Look, if I ask you tomorrow to race with Usain Bolt and win the race, you’ll realise quickly it is difficult.